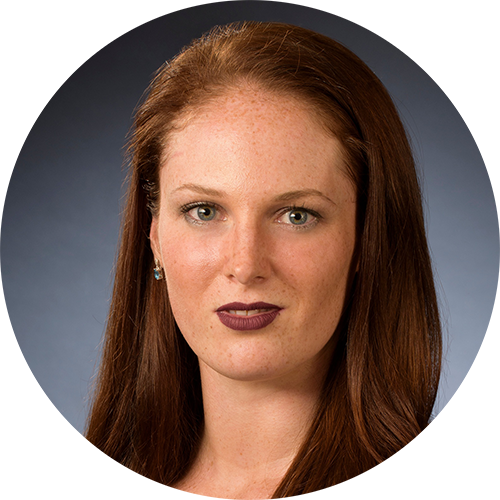 Molly McCarthy Hopwood grew up in a large family in Clarksville, MD. She is thrilled to have an office in her hometown and loves coming to work every day to help others make homeownership possible. A lifetime friend describes Molly best: " Molly is strong and passionate! She has a big heart, she was raised in a big family, and she knows how to make you feel like you're a part of it!" Molly is in her third year in the mortgage industry. She specializes in helping first-time homebuyers. Whatever your purchase or refinance needs, Molly will be there to guide you through the process, and make your mortgage experience the best you have ever had! All of my customers are enrolled in Mortgages Under Management, a complimentary program that brings together our experienced staff and reporting tools to make sure you have the best terms on your mortgage. My comprehensive approach begins at the planning stages of your home financing and continues throughout the entire life of your loan. Interest rates change daily. With our Auto-Lock service, I'll help you target a competitive rate and lock it in when it becomes available. Then, I'll work with you to plan for the future by establishing a preset rate target at which a refinance can save you money. After your loan closes, my work doesn't end. I'll provide RateWatch Reports: quarterly mailings that compare your interest rate to the current mortgage market. You will be alerted when savings are available and always know where your mortgage stands. No problem. Enroll in my Mortgages Under Management program on the form at the bottom of this page. I'll "adopt your loan" by collecting the necessary information to actively manage your mortgage and alert you to its position in the marketplace. “As a listing agent it was wonderful to have quick friendly responses to any questions as well as updates along the way. Molly was a pleasure to work with and we closed as scheduled!” – Veronica S.
"We couldn’t have been more lucky than to have Molly do our loan for our first home. She was so helpful and kept us informed every step of the way!” – Jessica W.
“We refinanced our house with Molly- She was super knowledgeable and everything went smoothly. We will definitely use her again when we buy our next house!” – Angela A.